I feel like I’ve been a bit AWOL from the blog this week; I’m usually blogging, tinkering with the blog or at least reading blogs most evenings I’m home but this week has been so busy and frankly, I’ve been so tired, that when I’ve been home I’ve mostly just been lolling on the sofa. Which I never do! My computer is in the ‘craft room’ at the front of the house and when Bodhi is looking for me he always looks in here first, that’s how much time I spend perched in front of the computer (sad I know). But this week I’ve really enjoyed having some more relaxing time just chilling with a cup of tea and some rubbish-y TV. I need to make more time to do this. Some other things I’ve been up to this week…. ♥ Yesterday my brilliant Mum came round and helped me label four Ikea bags’ worth of clothes I don’t wear anymore ready for a car boot sale today. I felt a little bit like when I was a little girl and used to play shop as I bought a proper kimble gun for labelling clothes along with luggage tags and stickers for prices. I also bought a clothes rail for hanging clothes so they looked nice. Unfortunately we chose completely the wrong car boot sale and went to Burseldon (if anyone knows it) which was full of older people (mainly men!) 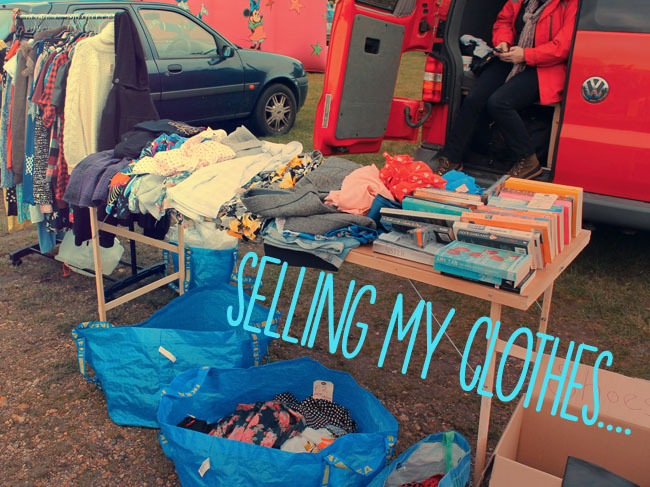 I only sold about a fifth of what I had and I made £46 which isn’t too bad but we stood out in the cold for four hours and it took us almost an hour to drive there! I think I’ll pick another one next time. I really detest eBay and can’t be bothered to be packing things and trogging to the Post Office just to get snotty emails from people saying they don’t like what they’ve bought so car boot sale is going to have to be the way to go for me I think, though maybe a different one! 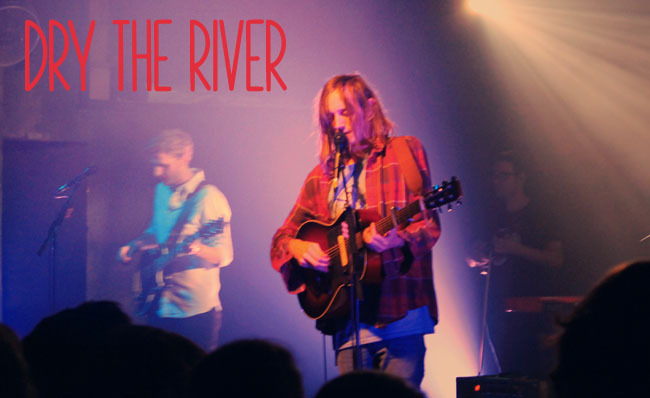 ♥ On Wednesday we went to Portsmouth Wedgewood Rooms to see Dry The River and one of my friends’ bands, Drawings, were supporting so it was good to see them. Drawings are actually proper, proper good and well worth checking out. ♥ I bought a big bundle of fabrics from Celtic Fusion Fabrics (have a dig around their website, there is so much cute stuff!) and got excited about trying to make things from my Meet Me At Mike’s book which I bought from Amazon last week, and by the way, is well worth the £11! ♥ I went to book club on Monday which was absolutely lovely and really nice to meet some new people. I didn’t enjoy our last book (Jubilee) and neither, particularly did anyone else! Our next book to read was picked as Memoirs of an Imaginary Friend, which I rattled through this week and finished last night. It is worth a read if you liked Room or Curious Incident of the Dog in the Night Time as it’s written very similarly. We’re not meeting again until December so I’ll have to find some more books to amuse me until then; I’m cheating on my Kindle a little bit as I’m really enjoying reading real books again! ♥ I am having a bit of a knitwear moment at the moment and hunting down lots of cosy knits. I ordered this aztec fluffy jumper from boohoo on Friday and am super excited for it to come! ♥ Talking of boohoo, Rafflecopter helped me pick a winner for my £100 boohoo voucher competition, I announced it on Twitter on Friday but in case you want to tell her congratulations or send envious looks her way it was the lovely Jenny from Sunny Sweet Pea.